Game fee's are $10.00 per game given to the team manager before each game. This covers field fee's and umpire costs. (Tournament fee's are separate.) Each Mustangs team may handle this fee differently. Teams cover there game fee's, tournament fee's and any extra cost that teams wants to do. This allows teams the freedom to play as often and as many tournaments as they wish. Each Manager may choose any special fee's needed for his team. Team manager selects monthly team costs and collects it for his teams expenses. Some tournaments like the USA Baseball tournament in Arizona are run by the Mustangs program and not the individual teams. 2 .) Players must purchase their own Placentia Mustangs uniform package at $75.00. Mustangs New Era Hat, Mustangs Easton Game Jersey, Mustangs practice shirt and Mustangs Team Easton Shorts. 4.) The Placentia Mustangs are sponsored by Easton Sports. Players must always wear our "Powered by Easton" Mustangs shirt to all practices. (Or any Mustangs t-shirt we have.) 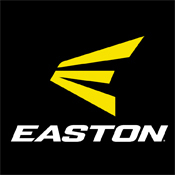 We will have several team sales nights where our families can save up to $100.00 on bats or any Easton gear. We also get discounts on Wilson - DeMarini products. We only put in a order once every two months so please take advantage of the deals we give you notice on. Our team sale is open to any of your friends or family and a great way to save a lot of money on baseball gear. 5.) Players and families are expected to help promote our very few programs fundraisers and special events. Placentia Mustangs are a family that works together to benefit our entire program. Ask not what the Placentia Mustangs can do for you, but what you can do for the Placentia Mustangs! 6.) All parents need to help with set up and take down of field for games and practices. Also need to work shifts helping with the snack shack and helping run any of our team events. We really need everyones help, and not just a select few. 7.) Players and Parents must always show good sportsmanship. Only coaches can talk to umpires. (No moaning from the stands!) Poor language or sportsmanship from player or parent will hurt playing time. 8.) Playing time and positions played is solely the manager's decision in tournaments and league games. 9.) Personal parent / player or parent / coaching staff contact during game time is strictly prohibited and not appreciated in any way. Any unpositive comments during team functions and games from any family member may hurt players playing time. Please keep all comments from the stands during games in a positive manner. 10.) All players and parents should know tampering rules and the common courtesies of competitive team recruiting policies. 11.) All players must let the team manager know well in advance if they cannot attend a Placentia Mustangs function. Our policy is that we play a lot of games, if you have something important to do, do it. Just let the team know. All players need to be listed on the Nations-baseball.com website under there Mustangs team account. Each familiy should have a current email contact address on our programs e-mail list. Each team will communicate to families, plus the Mustangs program will send all families emails on program events. 12.) All players must SPRINT to his position. 14.) Players must wear the Placentia Mustangs hat with the logo facing to the front of their face. League president or past members will take any hat facing the wrong way and let the Player buy a new hat. 16 .) Please make all checks out to "Placentia Youth Baseball".